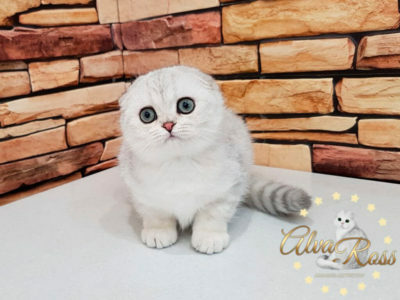 Why do Scottish Fold kittens have an unusual auricle shape? Scottish fold kittens... This is truly a fascinating sight! Their small folded ears do not leave indifferent neither adults nor children! What are Scottish Fold kittens look like? What are Scottish Fold kittens ears look like? their ears are folded forward and downward. This structure of the ears makes this breed memorable and fascinating look. 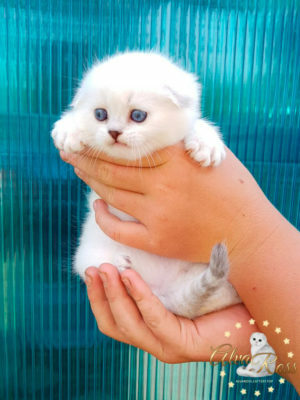 And photos of Scottish Fold kittens are popular. 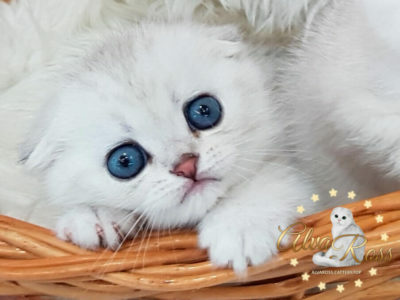 The “fold” gene is responsible for the unusual structure of the auricle in Scottish Fold kittens, or rather, the “gene mutation”, which led to the appearance of such fold-eared ears. 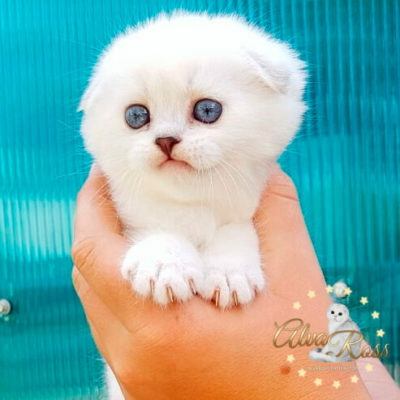 Scottish fold kittens, as well as adult Scottish fold cats, have a lot of colors. Today, the population of Scottish cats of some colors is very large. These colors include solid colors (solid, not patterned), as well as some patterned colors (such as marble colors or spotty colors). 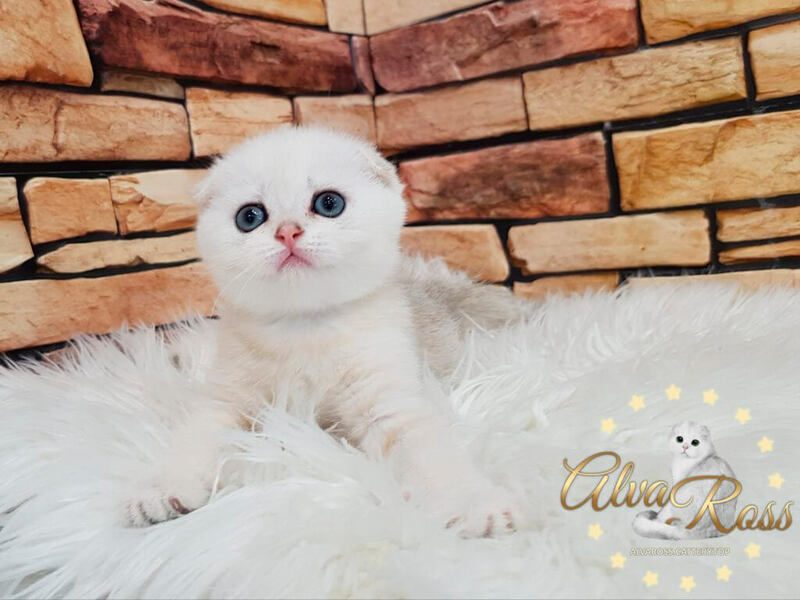 Scottish cats cattery AlvaRoss breeds Scottish fold kittens of these rare colors. 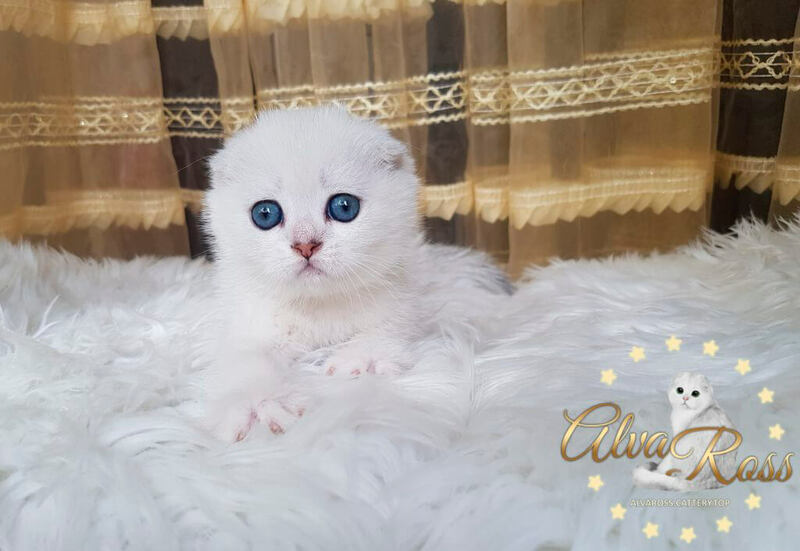 AlvaRoss is always ready to offer you high-quality Scottish Fold kittens with emerald or blue eyes of these rare and precious colors! 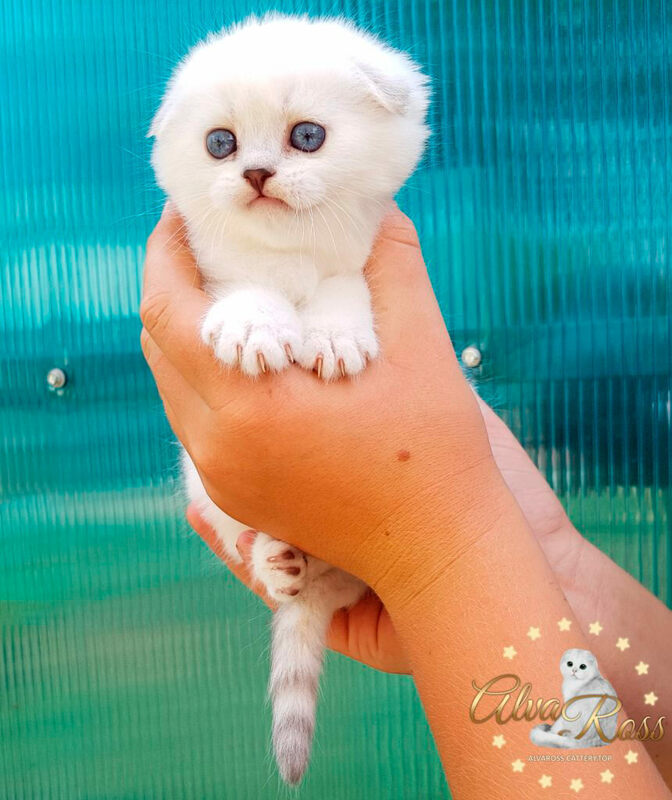 All kittens are born with blue eyes! Photos of Scottish Fold chinchilla point kittens from AlvaRoss. Photos of Scottish Fold chinchilla kittens from AlvaRoss.